MARCH 2012 UPDATE -- During March we prayed concerning . . .
NIGERIA (RLPB 149), after the al-Qaeda-linked terror group Boko Haram declared its intention to 'end the Christian presence' in much of Northern Nigeria by means of co-ordinated terror attacks and the kidnapping of Christian women. Please continue to pray for the Church in Northern Nigeria. SUDAN (RPLB 149), after Sudan president Omar al-Bashir declared that the Sudan Armed Forces (SAF) would 'purge South Kordofan' of 'traitors' (i.e. the non-Arab, non-Muslim, predominantly Christian Nuba). According to Sudan Vision, some 80,000 Islamic volunteer paramilitary 'mujahideen' are ready to fight and die in 'defense of the country and its Islamic belief'. Further to this, Easter Sunday (8 April) is the deadline for some 700,000 'Southerners' (i.e. non-Arab, non-Muslims) living in Sudan to register as citizens of Sudan. If they fail to register, they will be treated as foreigners, stripped of their citizenship rights and expelled as illegals. Consequently, thousands of 'Southerners' -- many of whom were born as raised in the north -- are heading for South Sudan despite there being few jobs and limited services. LAOS (RLPB 150), where Christians continue to suffering serious persecution at the hands of Communist officials and animist villagers. UPDATE: In Savannakhet province on Sunday 25 March, five Lao Christians from various villages in Palansai district were arrested while worshipping with believers in Boukham village, Ad-Sapangthong district. The arrested Christians have been charged with 'leading a religious movement without official approval'. According to Human Rights Watch for Lao Religious Freedom (HRWLRF) the arrests are part of a wider crackdown against the spread of Christianity in Savannakhet province. Pray for these believers and for all Christians in Laos, for whom the cost of faith can be very high. 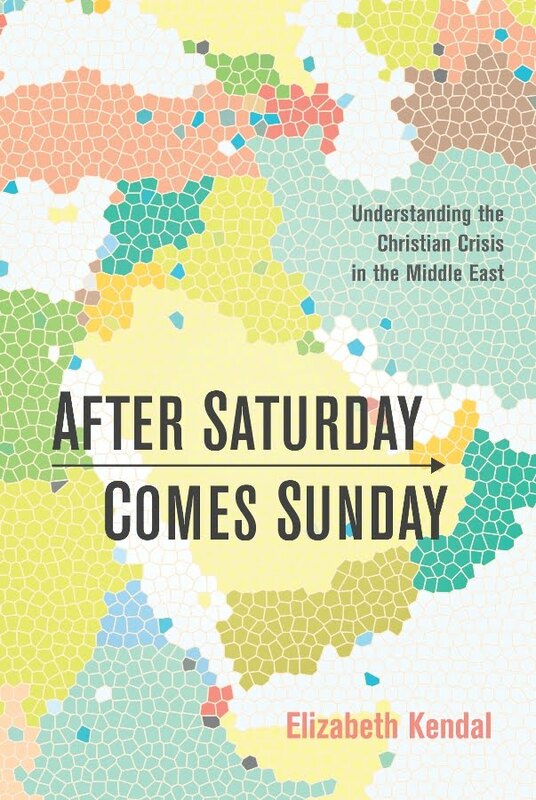 MIDDLE EAST (RLPB 151), where the region's Christian minorities -- from Iran through Iraq and Syria to Lebanon -- face the prospect of being trampled by Islamic blocs battling for regional hegemony and Islamic supremacy. Pray for the Christians of the Middle East. MARCH 2012 ROUND-UP -- also this month . . .
On Sunday 18 March, police raided a house church in China's far west Xinjiang province, arresting more than 70 Christians. The church in Aksu prefecture, which has been meeting regularly for nearly 20 years, was gathered for worship in the home of Pastor He Enjun when more than 10 police and Domestic Security Protection agents stormed in. Each believer was photographed before being taken away for interrogation. Some believers were held for two whole days. Everyone's Christian materials were confiscated, without receipts (i.e. they were stolen. Pray that God will put them to good use!). Pastor He Enjun and his wife were threatened and ordered to stop holding 'illegal' meetings. Last Christmas the battle between the CCP and Beijing's large, unregistered Shouwang Church intensified as church leaders sought a premises in which to hold Christmas services. While several landlords were initially willing to lease their premises, CCP pressure ensured they eventually backed out. One premises reneged at the very last minute, ensuring that numerous church members arrived for Christmas services unaware they would be met by hoards of police. With Easter approaching, the Shouwang Church is requesting prayer. For a full year now, the believers -- around 1000 mostly young professionals -- have suffered harassment, intimidation and persecution as they make a stand for religious liberty. The CCP, which has seized their property, will not let them gather for worship anywhere! Still, the faithful turn up each Sunday to be dispersed and arrested by CCP agents waging a quiet battle of attrition. Pray for Beijing's Shouwang Church this Easter. May God provide all their needs and bless their witness. On Saturday 24 March, Egypt's democratically elected Islamist-dominated parliament appointed a 100-member panel to write Egypt's new constitution. The panel's clear majority of 60 Islamists will ensure that Christian and secularist voices will be inconsequential. Several Christian and secularist members have already resigned from the panel, denouncing it as a farce designed only to legitimise the drafting of an Islamist constitution. When Pope Shenouda III (88), the head of Egypt's Coptic Orthodox Church, died on 17 March, Salafist clerics responded with a barrage of hateful, offensive, even slanderous insults. Their rejoicing over the death of the 'head of the infidels' has shocked Christians, compounding their sense of vulnerability. Meanwhile, serious anti-Christian violence is escalating. On Sunday 4 March, some 1,500 armed Muslim villagers in Abu Al-Reesh village, Aswan Province, Upper Egypt, launched a pogrom against the Notre Dame Language School. They were responding to calls emanating from local mosques to attack the privately run public school on the false claim that a church was being built there. Two nuns were besieged in the school's guesthouse for some 8 hrs by a murderous mob threatening to burn them alive. The entire property was ransacked and looted. The next day the Muslims returned to terrorise the children. Consequently, school attendance has dropped by at least one third. By 8 March, one of the nuns had suffered a major nervous breakdown requiring hospitalisation. Pray for Egypt's minority Christians. The Middle East is undergoing a massive upheaval wherein Islamist powers are struggling for regional and Islamic supremacy. According to terrorism analyst Yossef Bodansky, the 'buffer' that prevents the Islamic blocs from 'fratricidal violence' is the 'Fertile Crescent of Minorities' (Defense & Foreign Affairs Strategic Policy magazine (2/2012)). Thus it is in the interests of these blocs as they struggle in their quest for supremacy over the others that the 'Fertile Crescent of Minorities' be crushed. Unfortunately the West is so committed to majority rule that it cannot see that, by being complicit in the crushing of the region's minorities, it is actually setting the stage for a regional war of cataclysmic proportions. A Kuwaiti Member of Parliament, Osama Al-Munawer, has announced plans to submit a draft law that would ban the building of new churches while permitting existing churches to remain. On Monday 12 March a Kuwaiti delegate questioned Saudi Arabia's Grand Mufti, Sheikh Abdul Aziz bin Abdullah, on the matter. The Grand Mufti responded by citing Muhammad's command: 'Two deens [religions] shall not co-exist in the Arabian Peninsula.' (Al-Muwatta Hadith - 45.18. Note that 45.17 uses the broader phrase 'in the land of the Arabs'.) Therefore, said the Sheikh, it is actually 'necessary to destroy all the churches of the region'. The Grand Mufti is Saudi Arabia's highest official of religious law. He is also the head of the Supreme Council of Ulema (Islamic scholars) and of the Standing Committee for Scientific Research and Issuing of Fatwas. Consequently his decree could unleash a tsunami of persecution. Beyond the Arabian Peninsula, Christians in the Arab lands of Egypt and Lebanon have expressed alarm and anxiety over the decree. On Sunday 18 March militants in Yemen's southern city of Taiz shot and killed an American English-language teacher. Al Qaeda-linked Ansar al-Sharia (Partisans of Islamic Law) claimed responsibility for the targeted assassination, describing the victim, Joel Shrun (29), as 'one of the biggest American proselytisers'. Shrun had lived in Taiz with his wife and two children since 2010. Church leader Ulf Edström told reporters that threats against the school had increased of late. 'Al-Qaeda is searching for Westerners,' he said. Yemen is home to some 41,000 Christians, more than half of whom are expatriate workers. Local believers, generally converts from Islam, are mostly 'underground'. In Syria (where the struggle is currently centred) recent bombings have hit Christian districts. On Saturday 17 March simultaneous suicide bombings in Damascus targeting government facilities killed 27 and wounded more than 100. One car bomb was detonated as the bomber drove through the Christian neighbourhood of al-Qassa. The 'martyrdom' group al-Nusra Front to Protect the Levant (see RLPB 148) claimed responsibility. Then on Sunday 18 March a bomb was detonated near a Latin church and two primary schools in Aleppo's Sulaymaniyeh neighbourhood, a district heavily populated with Christians. A security guard and a Syrian-Armenian woman were killed and thirty people were injured. * preserve a remnant of his people in their homeland; may he be their refuge, provider and deliverer, bringing guidance, healing, comfort and strength, along with justice and recompense. * facilitate the escape of those who are seeking and needing an escape route; may asylum be granted without delay. * draw his people ever closer into communion with him, increasing their faith so they will know they are never alone, but have as their ally the sovereign creator of the universe, for whom 'nothing will be impossible' (Luke 1:37). The Middle East's minority Christians are being trampled as the region's Islamic blocs compete for regional hegemony and supremacy. On Monday 12 March the Grand Mufti of Saudi Arabia decreed that, in line with the teaching of Muhammad, all the region's churches should be destroyed. Days later, an American Christian English-language teacher was gunned down in Yemen. Repression and persecution are escalating in Iran with 12 believers arrested in Isfahan in the past month. In contested Syria, recent bombings in Damascus and Aleppo struck predominantly Christian districts. In Iraq, Baghdad's Syrian Orthodox Church of St Matthew was one of some 20 sites attacked on 20 March as bombs were detonated simultaneously across the nation. Please pray for the Church in the Middle East. Laos is a Communist-ruled South-east Asian state known for its abysmal human rights record, particularly its appalling prison conditions and systematic use of torture. Christians in this poor, landlocked nation face intensive persecution. Generally the religious persecution occurs outside the main cities, targets the already marginalised and persecuted ethnic minorities and is committed by belligerent and corrupt local officials. In Laos, religious liberty exists in theory but not in practice. Article 30 of the Laos Constitution states: 'Lao citizens have the right and freedom to believe or not to believe in religions.' However, the Prime Minister's 2002 Decree on Religious Practice (Decree 92) renders religious liberty illusory by mandating that religious activities first be approved by the village, district and regional authorities. On 2 March 2012 Khamla, the only known Christian in the whole of Viengphuka district in Luang Namtha Province, was summoned to meet with Lao officials at their headquarters. Khamla had recently converted to Christianity after being miraculously healed from a long-term disease in answer to the prayers of believers from another district. After rebuking and interrogating Khamla, the authorities gave him an ultimatum: recant or leave Dongvieng village by 7 March. Local authorities are reportedly determined to keep Christianity out of Viengphuka district. No update on Khamla is available. On 18 February local authorities in Pakoo district of Luangprabang Province issued an expulsion order against ten Christian families. The families, comprising some 65 believers, were given until 18 March to either recant their faith or leave Hueygong village. Eight of the ten families became Christian only three months ago, but without the permission of the Pakoo district chief, a district religious affairs official and the secretary of the Communist party's regional branch. Head of religious affairs of Luangprabang Province, Mr Bousee Chantuma, has reportedly intervened and is seeking a reversal of the expulsion order on the grounds that it is illegal as provincial religious affairs are supposed to be under his jurisdiction. Whether he is protesting injustice or procedural irregularity is unclear. Not all officials are prepared to use force against Christians who stand their ground. In mid-January local authorities threatened to expel 14 Christian families, comprising over 80 believers, from Hueysell village in Ngoi district, also in Luangprabang Province, unless they recanted their faith. Standing firm in faith, the believers held their ground and while the authorities continue to threaten and intimidate, as yet they have not used force against them. * bless his faithful Church in Laos, protecting them wherever they are, meeting all their spiritual, emotional and physical needs. * redeem this suffering, using the arising witness to fan flickers of faith into a revival that transforms communities: may there be a spiritual awakening in Laos that liberates tribal animists driven by fear of ancestral spirits; Lao Buddhists driven by fear into legalism and ritual; and spiritually empty Communists driven by atheism into meaninglessness, selfishness and cruelty. Whilst religious liberty is enshrined in the Laos constitution, it is restricted by prohibitions in Article 9 and Decree 92 that forbid anything that could cause social division. Virtually all religious activity must be approved by village, district and regional civic (often animist) and political (Communist) officials. Christians refusing to recant their faith are routinely punished by denial of services and eventually expulsion from their village. Khalma, a new believer, has been told to recant or leave Dongvieng village, while 10 Christian families (65 believers) have been ordered to recant or leave Hueygong village by Sunday 18 March. Other Christian families in other villages are similarly at risk. Some who have already been expelled after refusing to recant are struggling to survive. Please pray for the Church in Laos. Evidence indicates that the Nigerian al-Qaeda-linked terror group Boko Haram has transformed numerous suburban homes across the north of Nigeria into bomb-making factories. Several militants have been killed recently in Maiduguri, Damaturu and Kaduna when bombs exploded accidentally. Boko Haram's targets include schools, police stations, banks, government buildings and churches. Apart from these strategic bombings, the militants also roam the streets killing people randomly. Bauchi State Police Commissioner Aduba Ikechukwu says these militants are well armed, carrying sophisticated weapons including machine guns, and improvised explosive devices (IEDs). Boko Haram's aim is to make Nigeria ungovernable so they might extract concessions towards the Islamisation of Nigeria. Al-Qaeda supports Boko Haram as a way of furthering its own goal of establishing a sanctuary and base of operations in Northern Nigeria from where it can launch jihad into West Africa. On Tuesday 6 March the same Boko Haram spokesman told Bikya Masr that the group also plans to 'strike fear into the Christians of the power of Islam by kidnapping their women'. According to the spokesman, the kidnapped Christian women will not be harmed, 'but we [Boko Haram] will demand as ransom that the families leave our Islamic areas'. 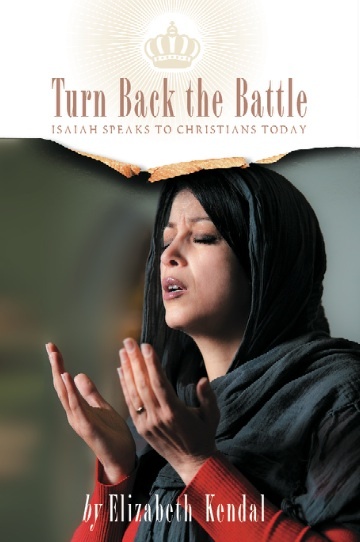 * redeem these dark days of suffering, to bring awakening to many Muslims and revival to the Church. For only then -- after they come to the LORD -- 'they shall beat their swords into plowshares, and their spears into pruning hooks . . .' (from Isaiah 2:2-4 ESV). The al-Qaeda-linked Nigerian terrorist group Boko Haram has declared it is plotting to 'end the Christian presence' in much of Northern Nigeria. According to a spokesman, the group is preparing to launch a 'war', a campaign of terror, against Christians through co-ordinated bombings and kidnapping Christian women. The women reportedly will be held for ransom and returned only to Christian families who leave the region. The goal is to eradicate Christians completely so that a 'proper Islamic state' might be established. The authorities say Boko Haram is well armed with sophisticated weaponry and munitions. This new threat against Christians is very direct and indicates very dangerous days lie ahead. Please pray that God will shield his people and rise up in defence of his Church. May God be glorified. The Sudan Revolutionary Front (SRF; also known as the Kauda Alliance) is an alliance of rebel groups from Darfur, South Kordofan and Blue Nile. On 26 February the SRF defeated Sudan Armed Forces (SAF) troops at the strategic garrison town of Jau near the South Sudan border (see RLPB 148). The victory has theoretically opened the Kauda Valley for the Nuba refugees fleeing from genocide. The SRF is appealing for a no-fly zone to be established so that much-needed humanitarian aid can be delivered. On Saturday 3 March Sudan's President Omar al-Bashir declared that the SAF would 'purge South Kordofan' of 'traitors'. To that end he ordered the reopening of all Popular Defense Forces (PDF) camps across the nation. [The PDF are Arab-Islamic paramilitaries / "mujahideen".] He arrogantly predicted that SAF troops would soon perform thanksgiving prayers in the town of Kauda. On 6 March the pro-Khartoum Sudan Vision reported that up to 80,000 paramilitary troops are ready to die in 'defence of the country and its Islamic belief'. Persevere in prayer for our imperilled brothers and sisters fleeing from genocide in Sudan. Psalm 10:16-18.